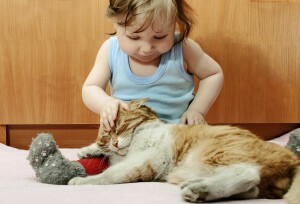 Growing up with a pet is a wonderful memory for many of us; and as parents, we want our kids to share in the joys of having and caring for a childhood pet. Besides being a friend and confidant, pets can teach our children important lessons about responsibility, compassion, and empathy. But how do you know if your child is ready for a pet? Or which type of pet to adopt? And how do you guide your kids in learning about pet care? These are all key questions to consider when it comes to raising the next generation of responsible pet owners.